Letterforms are an inseparable part of a civilized literary landscape. At some distant point in history, letters started as representations of things in the world. Then, gradually, through a complex evolutionary process, they came to be defined as the closed shapes of a writing system. This photo-typographic essay is a meditation on this remarkable transition. Exploring the relationship between typography and the visual world around us, the essay looks at the twenty-six letters of the English version of the Roman alphabet in four manners: as the world presenting itself in the shape of a letter, as an intended letter in space, as a flat letter on paper, and finally as a pure geometric form embodied in a typeface. Familiar letterforms are presented in fresh, surprising ways, forming an homage to the beauty of type and a reflection on its ubiquity in our visual understanding of the world around us. Alongside the fascinating images, Ornan Rotem's text offers an overview and a detailed discussion of each letter. 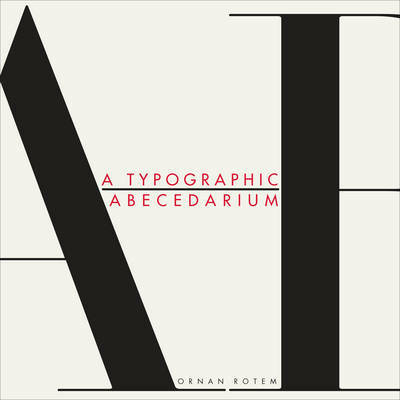 In this unusual book, text and image coalesce to create a modern day primer on letters: a typographic abecedarium.